UK Shelf Sea Biogeochemistry Blog: Meet Jo Cox, the first female captain of any NERC owned research vessel. Meet Jo Cox, the first female captain of any NERC owned research vessel. On Monday we continued our work at sites H and I as well as the spatial survey which we are carrying out between the sites. There will be more about the spatial survey later in the blog, as today’s post is focused on the most important person on the ship. Jo Cox is the captain of the RRS Discovery, and indeed the first female captain of any NERC (Natural Environment Research Council) owned research vessel. Jo has always been a keen sailor and spent most of her childhood sailing in circles round a reservoir at weekends, however she took an unconventional path towards a career at sea spending five years training as an engineering apprentice and test engineer with Land Rover. During her apprenticeship she was given the opportunity of sailing on a Tall Ship (Sail training for children and young adults), spending 10 days sailing on the schooner Winston Churchill. Jo Cox, captain of the RRS Discovery, and the first female captain of any NERC owned research vessel. Following this BAS offered her a 3rd mate position on the JCR, and she spent the following 10 years working for BAS on the JCR and the other UK Polar ship the RRS Ernest Shackleton. In 2012 a change of career beckoned and Jo left the open waves to spend three seasons working as the Government officer in an Antarctic base on the island of South Georgia manned by BAS scientists; however with each passing season her desire to return to sea got greater and this lead her to apply for the vacant Masters position on the RRS Discovery. 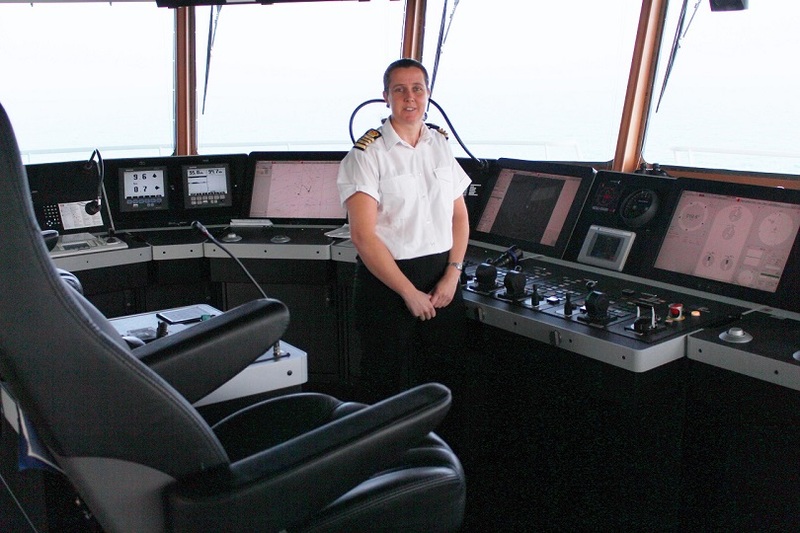 Coming from an engineering background, Jo has only ever worked in male dominated environments and offered the following advice to other women considering a career at sea.